Leeds [UK], Mar 22 (ANI): The I-League clubs are willing to play the Super Cup after the All India Football Federation's (AIFF) President Praful Patel reached out to them and assured them of holding a meeting in Mid-April. New Delhi [India], Feb 28 (ANI): Indian Arrows trumped former champions and hosts Mohun Bagan 3-1 in the ongoing 12th edition of the I-League clash to conclude their second season in the top-flight league with six wins at the Vivekananda Yuba Bharati Krirangan in Kolkata on Thursday. 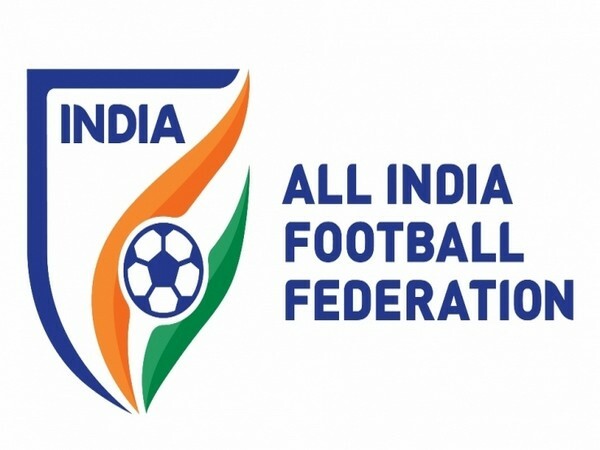 Kolkata [India], Feb 28 (ANI): Indian Arrows are set to grab another win when the All India Football Federation (AIFF) developmental side will face Mohun Bagan today here at the Vivekananda Yuba Bharati Krirangan in Kolkata. Coimbatore (Tamil Nadu) [India], Feb 25: Chennai City FC inched closer to their maiden I-League title, defeating Mohun Bagan 3-1 at the Nehru Stadium in Coimbatore. Leeds [UK], Feb 21 (ANI): Premier football club of the I-League Mohun Bagan have written to Asia's football governing body, the Asian Football Confederation (AFC), seeking clarification on the future of Indian football. Aizawl (Mizoram) [India], Feb 16 (ANI): A late goal by Bikramjit Singh handed Kolkata Giants Mohun Bagan their seventh victory of the 12th I-League season, as they defeated Aizawl FC 2-1 at the Rajiv Gandhi Stadium in Aizawl on Saturday. Aizawl (Mizoram) [India], Feb 15 (ANI): In a battle, mainly for pride, two former champions Aizawl FC and Mohun Bagan will lock horns in a return leg for the 12th I-League at the Rajiv Gandhi Stadium in Aizawl on February 16. Goa [India], Feb 8 (ANI): Churchill Brothers are all set to host Mohun in a return-leg of the ongoing 12th edition of the I-League at the Tilak Maidan in Vasco Da Gama on Saturday. Kolkata (India_ Jan 31 (ANI): Mohun Bagan and Gokulam Kerala FC shared a point each after a thrilling 2-2 draw in the ongoing 12th edition of the I-League here at the on YBK Stadium on Wednesday. Kolkata [India], Jan 29 (ANI): Following their second derby loss to arch-rivals Quess East Bengal (QEB), former champions Mohun Bagan will look to bounce back in the I-League clash with Gokulam Kerala at the Vivekananda Yuba Bharati Krirangan (VYBK) in Kolkata on January 30. Kolkata (West Bengal) [India], Jan 6 (ANI): Real Kashmir FC snatched a stunning 2-1 win against Kolkata giants, Mohun Bagan, to move to the third spot in the ongoing 12th edition of the I-League here at the Salt Lake Stadium on Sunday. Imphal (Manipur) [India], Dec 28 (ANI): Manipur's Neroca FC notched up two goals to earn a victory against Kolkata giants and former champions Mohun Bagan, in an entertaining encounter of the ongoing twelfth edition of the I-League here at the Khuman Lampak stadium on Friday.